Loaded!! 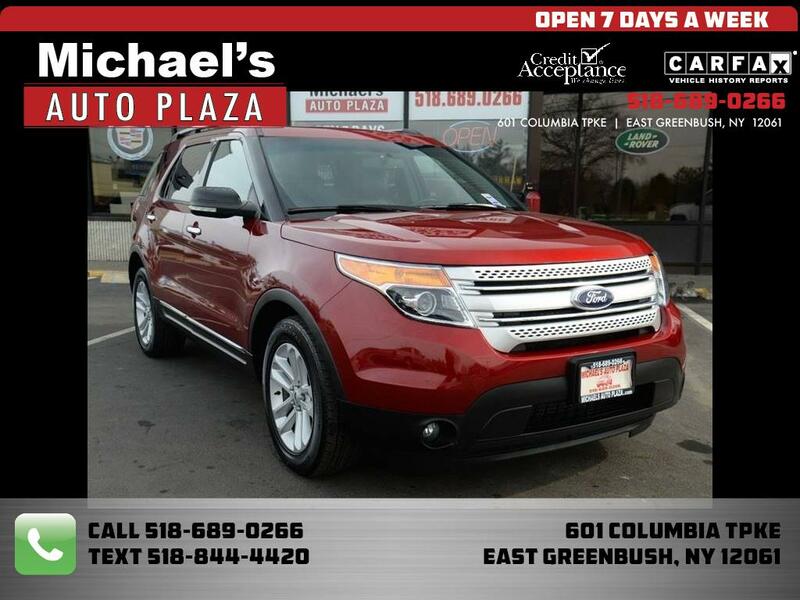 Take a look at this ONE OWNER Clean Carfax 2014 Ford Explorer XLT, Red with Charcoal Leather interior, 93k miles, Navigation, Remote Starter, Third Row Seating, Power Sunroof, Heated Seats, Backup Camera, Parking Distance Control, Traction Control, Luggage Rack, Sync Equipped, Bluetooth, Premium Audio, Satellite Radio, Stereo Controls on the Wheel, Keyless Entry, Power Windows, Locks & Mirrors. A/C, Cruise, Tilt, CD. This vehicle may be subject to a Safety Recall, visit www.nhtsa.gov/recalls or www.SaferCar.gov ALL Vehicles come NYS Inspected and Select Vehicles Include Warranty! Buy with Confidence! EZ Access Off Ext 9 of I90! Trades Welcome - All Reasonable Offers Considered!!! We ship our vehicles worldwide, please call us for a shipping quote. WE OFFER GUARANTEED CREDIT PROGRAMS!!!! Call Toll FREE 866-440-3907 or TEXT anytime 518-844-4420!! FREE Carfax available on any vehicle! Call for your copy today! FINANCING for ALL needs! Rates From 2.74% APR if credit qualified! Great rates for the credit challenged too!